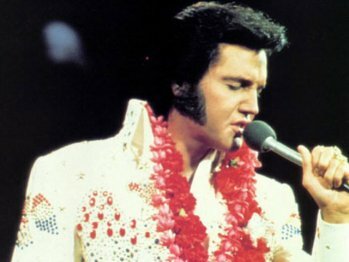 Elvis Week this year will include the traditional candlelight vigil remembering Elvis Presley’s death and a concert featuring a virtual image of the rock icon. Elvis Week draws thousands of fans every year to Graceland, Elvis’ longtime home in Memphis, for a celebration of his life and death. This year’s Elvis Week is highlighted by a concert with a live band and real backup singers performing in front on a large LED-screen with a virtual Elvis belting out tunes. Events also include the finals for the tribute artist contest; a documentary about Sam Phillips, who discovered Elvis; and the vigil at Elvis’ grave at Graceland. It’s been 55 years since Elvis’ first national hit, ‘Heartbreak Hotel.’ He died Aug. 16, 1977. The festivities are set for Aug. 10-16.